General discussion about LÖVE, Lua, game development, puns, and unicorns. rmcode wrote: What OS are you using? This update blows my mind in 1,000 ways, thank you so much! I'm getting a nice 4% fps performance increase on a basic demo just FYI, which is great. This new joystick thing inspired me to recommission my old xbox 360 controller. has someone perhaps recently worked on that? 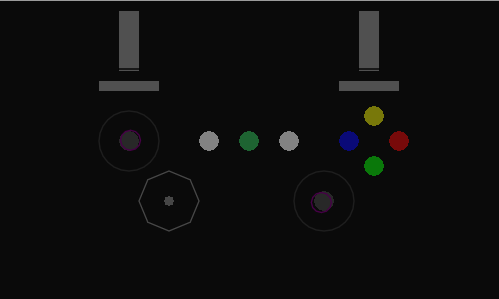 EDIT: Ok, so I figured it out I think, made a post for joystick stuff here. The love.window.showMessageBox seems to cut off the last character in a string in the 'message' field. However, when using a 1 or 0 integer variable in the 'message' field, it shows that single digit fine. I also tested the box staying on top functionality, and it doesn't appear to work for me either. The love.window.showMessageBox seems to cut off the last character in a string in the 'message' field. It's not fixed in SDL yet, though. Can love pad the string? bobbyjones wrote: Can love pad the string? Me and my stuff True Neutral Aspirant. Why, yes, i do indeed enjoy sarcastically correcting others when they make the most blatant of spelling mistakes. No bullying or trolling the innocent tho. Yes, but as zorg says it's probably not a good idea. It should hopefully be fixed in SDL before the next LÖVE version comes out, anyway. Any projected release date for 0.10.0, or is that still a forbidden topic?